A challenger brand in a commodity category, NIVEA sought to differentiate themselves by elevating their product benefit to a meaningful consumer benefit: more kissable lips. 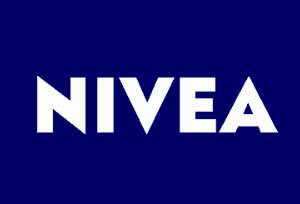 To engage consumers in a unique way, NIVEA decided to own the most important kiss of the year, New Year’s Eve. An idea was born: NIVEA’s “Kiss of a Lifetime” contest, which invited consumers from across the country to open their hearts and share personal stories via Facebook on why their love story would inspire others. The campaign objective was to put a spin on NIVEA’s annual New Year’s Eve Times Square celebration and incorporate the “Kiss of a Lifetime” concept while driving brand awareness and preference throughout the month leading up to their New Year’s Eve event. The campaign strategy was to develop an ongoing and unique engagement in the heart of Times Square, merging NIVEA’s messaging, social presence, and global appeal with consumer experiences and ongoing connections while appealing to the emotional excitement of the holiday season. The agency planning team, along with convergence strategists, developed a multi-layered concept that not only delivered awareness and brand preference, but also drove earned media and brand engagement by encouraging an emotional connection to the NIVEA Lip brand through NIVEA’s first-ever, fully connected, engagement zone: the NIVEA “Kissing Booth,” located in Times Square for four weeks prior to New Year’s Eve. The agency’s marketing department designed the concept plans for the kissing booth while its production arm took care of the logistics and production needed to bring to life all elements of the Kissing Booth that would act as a stage for all of Times Square. The plan included 3 spectacular screens that were synced to display NIVEA messaging with a live feed from the Kissing Booth and from Facebook. The entire experience was solely driven by social media and word of mouth, without any external drivers to the Kissing Booth. Consumers could visit the Kissing Booth, located in the flagship Aeropostale store. They were then greeted by NIVEA brand ambassadors who snapped their “Kiss of a Lifetime” photo in front of an extraordinary Times Square backdrop, handed out NIVEA samples and, of course, the iconic blue New Year’s Eve hat. 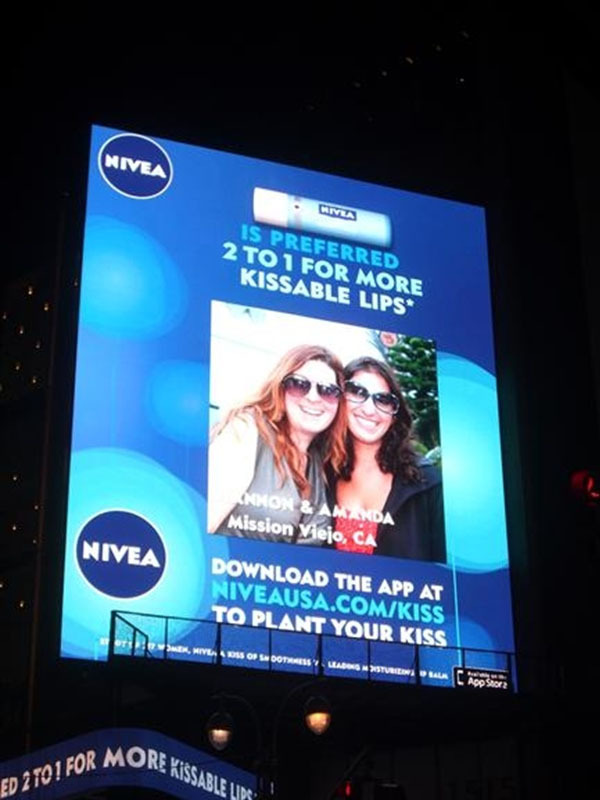 The photos were then uploaded directly to NIVEA’s Facebook page for retrieval and simultaneously displayed on all 3 digital spectaculars in Times Square -- where consumers could have their moment of fame and their “kiss of a lifetime” immortalized in front of millions. Those outside Times Square could upload their photos directly to the Facebook page, which had a direct feed to the digital spectaculars as well. On New Year’s Eve, those outside the balcony “kissing booth” could submit a photo through an application (accessible via an QR code on the signs surrounding the balcony) and see their “Kiss” moment appear on any of the the spectaculars NIVEA dominated. The campaign was a huge success. NIVEA directly reached more than 5,000 people and indirectly almost 500,000 via Facebook, not including those in Times Square during the lead-up to New Year’s Eve or the millions who saw it on NBC. 5,100 people visited the “Kissing Booth,” while 1,700 photos were uploaded directly to the Facebook page from consumers outside Times Square. 4,690 photos appeared on the spectaculars. The Facebook page amassed 485,000 impressions during the campaign and the direct upload of the “Kissing Booth” images was credited for the large accumulation.